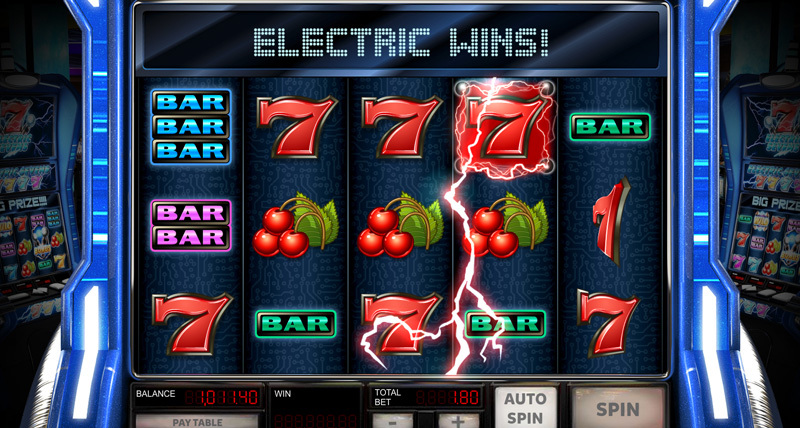 Electrify your wins in this 5x3 and 30 paylines slot and maximize them with the Huge symbols. 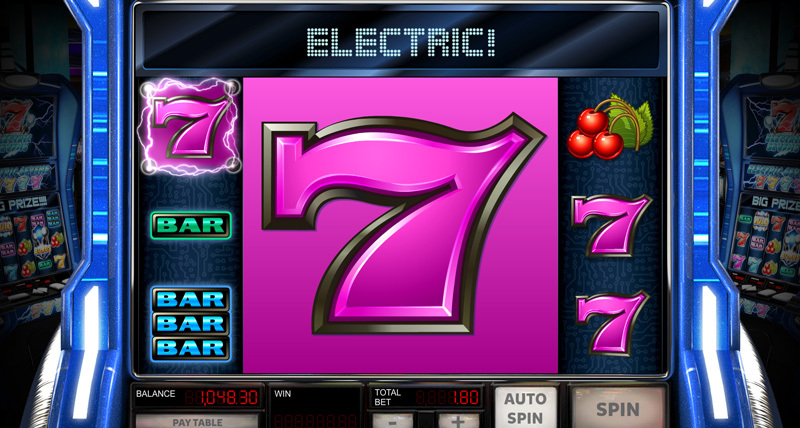 Transform all seven symbols to the same colour with the electric sevens symbols. 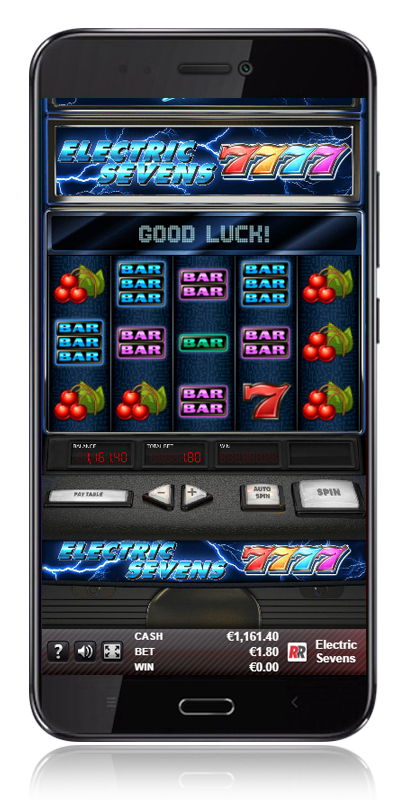 Combine the 'Electric Sevens' symbols in the top extra reel with those in the regular reels to win big in the 'Free Spins Bonus Feature'. 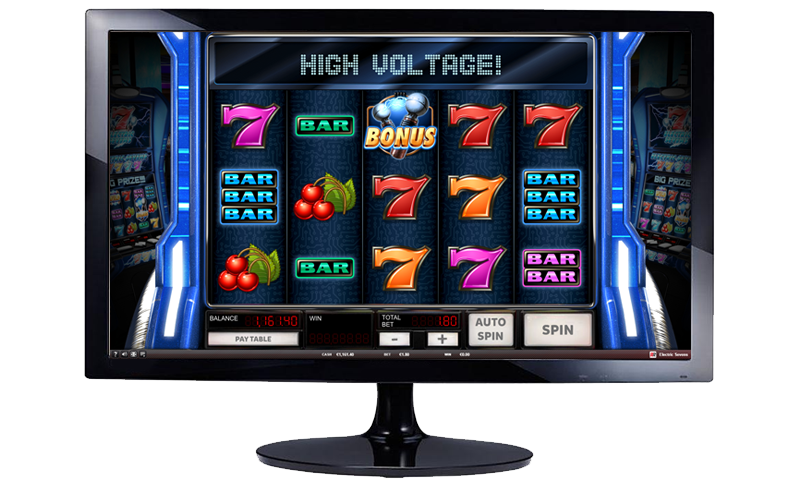 'Free Spins Bonus Feature' with top extra reel. 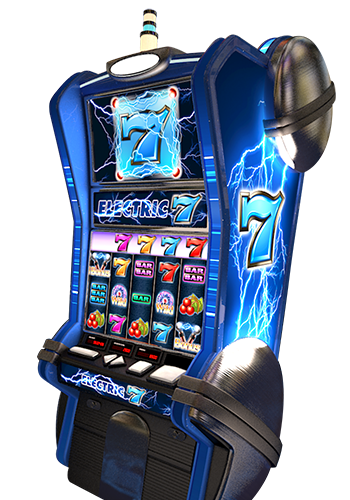 Electric sevens symbols change the colours of other sevens to their own colour, increasing wins. 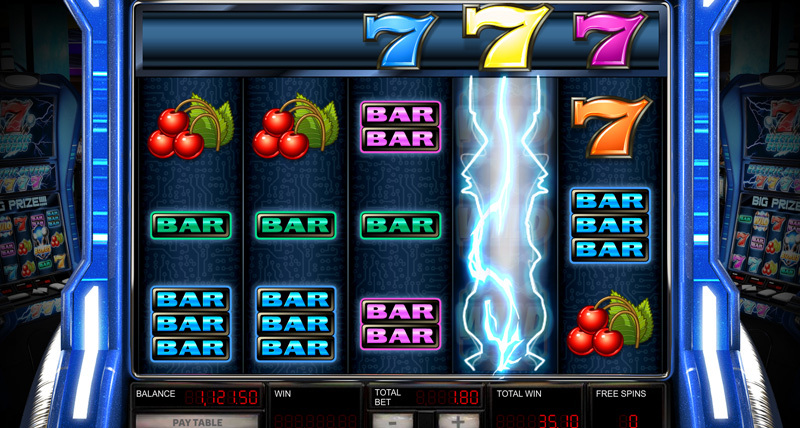 These symbols appear over the full 2, 3 & 4 reels. 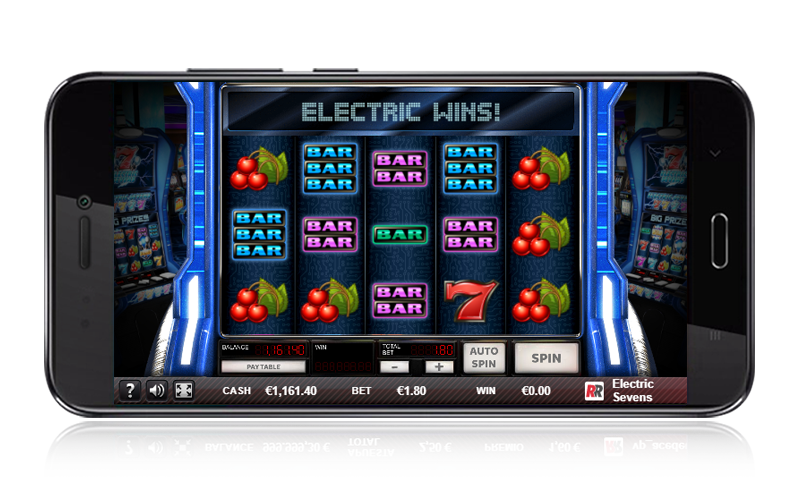 There are 4 different colours! 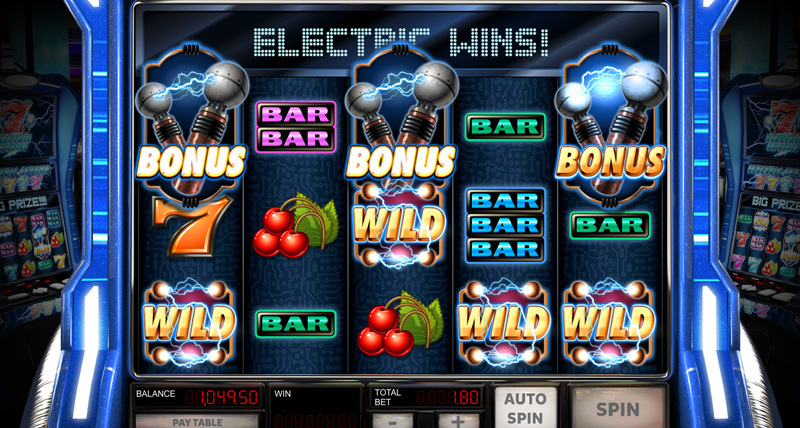 Get 3 Bonus symbols to get 10 free spins respectively. 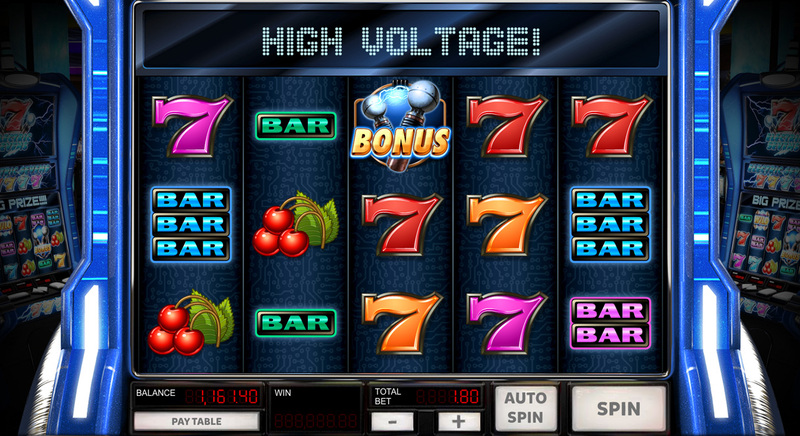 During the 'Free Spins Bonus Feature', a fourth horizontal reel appears on top of the reels, with symbols moving from right to left.